EPIC: “An epic (from the Ancient Greek adjective ἐπικός (epikos), from ἔπος (epos) “word, story, poem”) is a lengthy narrative poem, ordinarily concerning a serious subject containing details of heroic deeds and events significant to a culture or nation.” – from the Wikipedia entry for epic poetry. Pick your gospel: the Scriptures or rock & roll. Both figure into director Darren Aronofsky’s Noah, a biblical epic that follows no rules except its creator’s teeming imagination. “Epic” in this case only describes the genre, not the quality. I’d seen this before, when I staffed a video store* as a summer job. “A ROMANTIC COMEDY!” proclaimed the box, hoping to attract an inattentive renter looking for just that (a romantic comedy, I mean). But never you mind. 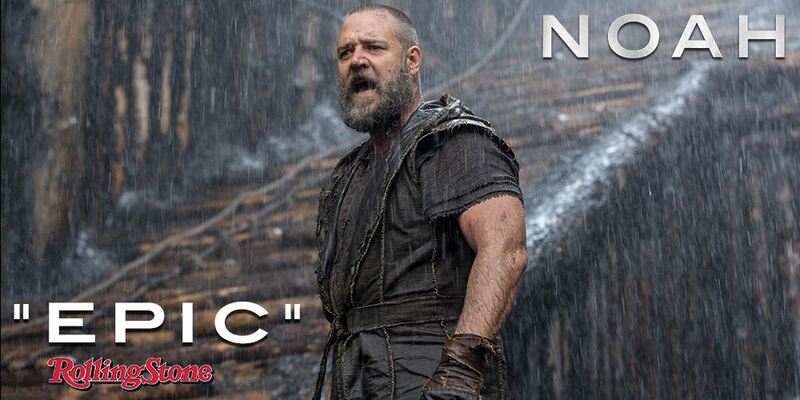 Any bored 13-year-old will see the poster and assume “Noah” is indeed EPIC. So the poster fails twice – first, for resorting to teen slang, second for misrepresenting the comment in the first place** Of course, the movie has made more than $300 million, which proves my definition of “fail” is an epic fail itself. *A “video store” was a retail outlet where one rented “VHS tapes,” an old magnetic media on which was recorded a movie – the forerunner to DVDs. Rather than Redboxes, these locations were staffed by “employees,” who would make recommendations and help you distinguish between “The Seventh Seal” and “The Seventh Sign” – if you didn’t annoy them, in which case, they would recommend the Bergman film. **Which may explain why I can’t find the poster in Google images anywhere. I also searched for news of Travers protesting the use of his “review,” but to my surprise (not) I find nothing – media companies are very good about covering each others’ misdeeds. Then again, repentance is a good thing when the judgment of God is on screen. This entry was posted in commentary, sightings, words on April 28, 2014 by mark. If a better maxim exists for institutional writers, I haven’t heard it. 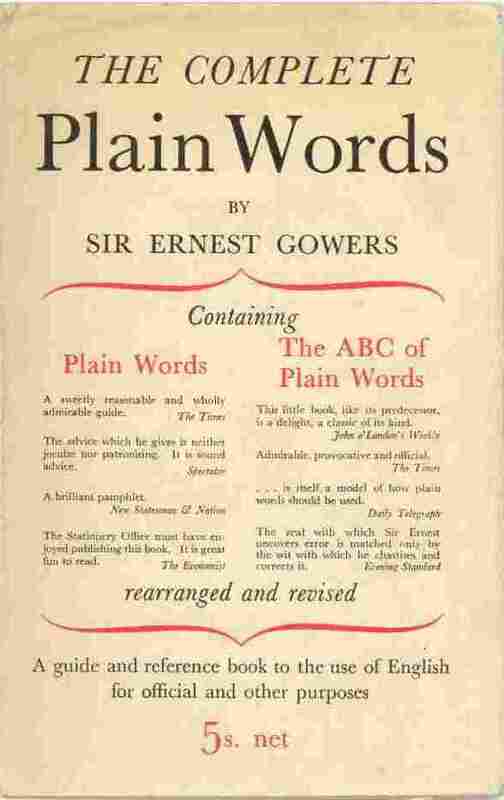 A recent Telegraph (UK) feature profiled Sir Ernest Gowers, who sounded the alarm against corporatese in 1948 by publishing Plain Words. Now his great-granddaughter is taking up the fight and updating The Complete Plain Words for the 21st century. This entry was posted in commentary, sightings on April 3, 2014 by mark.